So every Friday, I share one recipe I think you and your family might enjoy. It might be a main course recipe. A cookie or baked item. Candy. Salads. Whatever strikes my eye and fancy…which today is FUNNEL CAKE. I have a guilty secret. As many times as I went to the carnival growing up, I never tried a funnel cake. Thankfully, one of my daughters took pity on her poor, deprived mother and bought me one at a county fair. Every time I see one now my mouth waters. Since I don’t attend fairs often, I was delighted to find this recipe. A fun, fast treat your family will love! P.S. We’re at 21 recipes and counting with this posting. 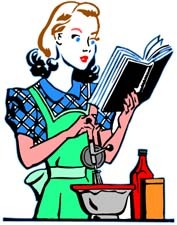 Hope you find some recipes you like. If this is your first visit, please check out past blogs for more Killer Fixin’s. In the right hand column menu, you can even look up past recipes by type. i.e. Desserts, Breads, Beef, Chicken, Soups, etc. In heavy, wide saucepan, heat 1½ to 2 inches salad oil to 360 degrees. In medium bowl, beat egg with milk; stir in flour, baking powder, ¼ tsp. salt and cinnamon. Mix until smooth. Holding finger under funnel with a 1/3-inch wide opening, pour ¼ cup batter into funnel. Starting in center of skillet, drop batter into hot oil; move funnel in circle to make snail-like coil of rings, each about 6-inches in diameter. Fry cake, turning once, until golden, about 2 minutes each side. Place on paper towel lined wire rack in warm oven while frying remaining cake. If batter thickens, add more milk. Sprinkle powdered sugar over cakes before serving.